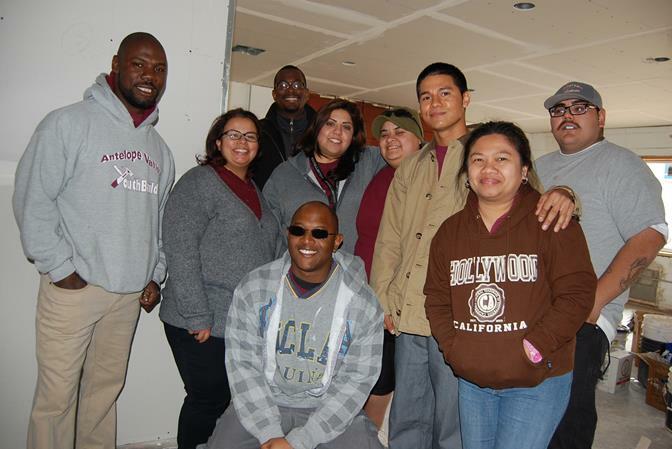 Dozens of Antelope Valley YouthBuild students and alumni were working Thursday at the program’s Supportive Housing Site, located at 38518 5th Street East in Palmdale. The project is expected to be completed in about two months. 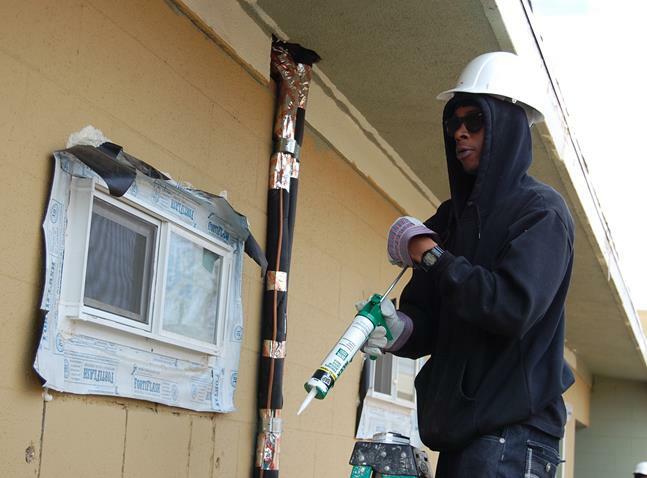 PALMDALE – The young men and women of Antelope Valley YouthBuild have been hard at work for past year transforming a blighted Palmdale property into a community asset. “This is our young people controlling their legacy, building this project for their own purpose,” said Executive Director and Founder Rossie Johnson. 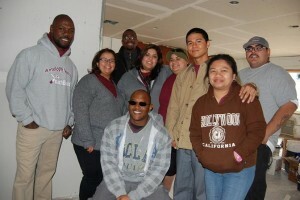 AV YouthBuild has transformed lives, students and alumni said. Once completed, the half-acre property at 38518 5th Street East, will serve as Antelope Valley YouthBuild’s Supportive Housing Site. The project is expected to be completed and the doors open in about two months, Johnson said. AV YouthBuild is now calling on the entire community to help support the Supportive Housing Site. The Supportive Housing Site is in need of household items to furnish eight bedrooms, four bathrooms, two kitchens, two living rooms, two community rooms and one laundry room. Businesses or individuals may “adopt” a room by purchasing the items needed to furnish and decorate the room of their choosing. “Because we’re nonprofit, donations could be a tax write off,” Johnson said. He said they’re also looking for residents to donate their time. Tommy Landeros said he would most likely be in jail or dead by now, if not for AV YouthBuild. 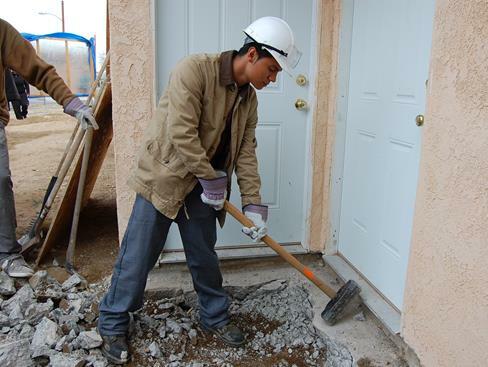 Antelope Valley YouthBuild is a youth and community development program that offers an accredited high school diploma and hands-on occupational training in Construction, Wildland Fire Technology, Nursing Assistant and Solar Technology installation through various partners to low-income youth, ages 16-24. 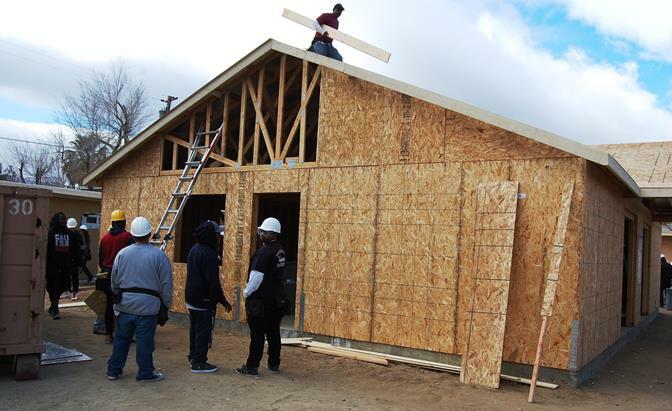 Participants spend six to 24 months in the full-time program, dividing their time between construction and the YouthBuild alternative school. Participants serve their communities by building affordable housing, and transforming their own lives and roles in society. Bredell Rogers said AV YouthBuild gave him hope for a better future, after he dropped out of high school and became a young father. Thomas Linicome, 22, was one of dozens of workers taking part in the community service project Thursday. When 19-year-old Francisco Gonzalez was kicked out of Eastside High for fighting, AV YouthBuild took him in. Tommy Landeros said he would most likely be in jail or dead by now, were it not for the support of the Antelope Valley YouthBuild program. For more information on how you can help support or donate to AV YouthBuild’s Supportive Housing Site, contact Rossi Johnson at 661-266-8900 or visit www.avyouthbuild.com. 1 comment for "Help empower youth, build community"
I actually went to this school/program. I went to this place at the age of 22 I believe. They opened there arms to me when no other school would. They have me the opportunity to actually get my high school diploma. I actually participated in one of there construction programs. Thanks to this school I have bettered myself and am currently work full time and part time as well with my own place. They opened the door to me and I walked through it. Thank you rossie Johnson. May your school/program go further.